So, you’ve found a new client who wants to work with you. I don’t know how other writers think, but it always feels like starting a new relationship (and it sort of is, albeit platonic). You have many hopes and dreams, as well as hidden expectations. The clients also comes with their hopes and expectations which you may or not understand quite yet. How can you start this process off on the right foot? Why, a contract, of course! You might be thinking, “Huh? Why would I want a contract with a client?” Truth is, you don’t just want it – you need it both to protect yourself and them. To go without one is to risk not only your livelihood, but your work and the all-mighty dollar. Back when I began to freelance in 2011, I started out with writing because I felt that writing was a strong skill I could build a business around. I didn’t really have any idea of what to charge and completely underestimated the value of my work, as well as how many people would try to take advantage of me. So at some point, I began to provide articles for a website and that website would sell them to other businesses based on the topic they needed. Every article was $10 and the agreement wasn’t as ironclad as it should have been. In fact, we may have had an email exchange and called that the agreement. I wrote about 15 articles and was supposed to be paid regardless, but about 10 were outstanding after the fact. I kept asking and asking for payment and never received it. I learned a lot from that experience. For one thing, I learned that if you don’t value your work, other people won’t value it either. I also learned you should always have an ironclad contract with everything spelled out. This is the philosophy I use with my clients. 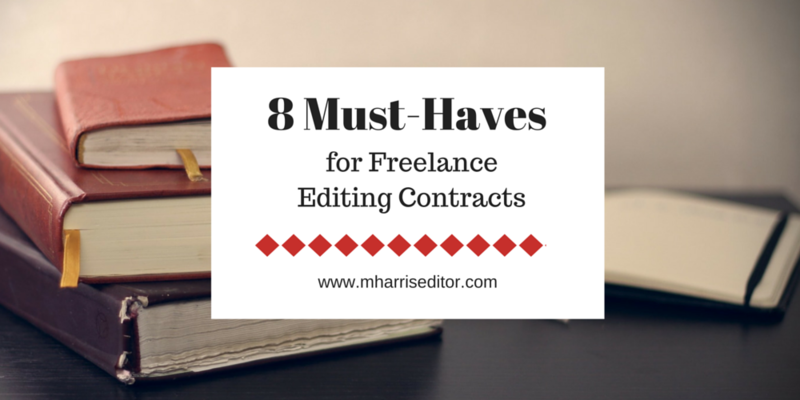 Why get a contract with an editor? Because it protects you and them. It sounds basic, but getting the client name and address, as well as the contractor name and address, allows you to establish trust and give you the ability to contact them by other means if email or a phone call doesn’t work. The direction (scope) of the contract is something you want to include and it essentially breaks down what the responsibilities are for the contractor. For example, you might include the word count of the book and any responsibilities related to editing, such as what level of edits will be provided, timelines, etc. You can keep the scope as tight or loose as you want in order to outline the responsibilities of either party, but remember that the tighter the scope is, the less likely you are to experience scope creep. Scope creep occurs when the client asks for things that are not agreed upon services (“out of scope”). For example, if I’m editing your book and you ask for formatting (a service I don’t provide), that would be out of scope. If you ask for a service I do provide, but we haven’t agreed to it in the contract, that would also be out of scope. For instance, if you would like a book blurb written but that is not something from the initial contract, you have requested work that is out of scope. There are ways to avoid scope creep beyond the initial communication, such as having a clear understanding of what is and is not part of your current project. Add-ons can come later, of course, if both parties agree. If that’s the case, you can always have an addendum to the contract. If you want to keep your project free of scope creep, make sure you have information in the contract for what to do if the scope changes, such as an amendment to the contract or an updated contract if you haven’t completed signatures on the agreement. When I edit for clients, I like to include information about what the services entail and the length of the book when establishing scope. This happens before the rate is agreed upon and before anything is signed or set in stone. This allows us to avoid getting into something we didn’t communicate clearly enough and gives everyone a better idea of expectations. To avoid scope creep, or editing a book that is a different length than we agreed upon, I build in a buffer for the words where if the received manuscript is outside of that word count, there will be additional costs. For example, if we agree to a 50,000 word manuscript line edit and the project is 65,000 words, then the cost of the project changes. However, if that 50,000 word manuscript line edit turns into a project with 52,000 words, my contract accounts for the extra 2,000 words being within the acceptable range for the project rate we agreed upon. Therefore, the project has no scope creep. Payment schedule – I often include this as an attachment but sometimes, if the project is straightforward, the payment schedule involves an upfront payment and a final payment – that’s it! Invoices – This is important for your client’s bookkeeping and your own tracking purposes. If you outline when invoices go out and it coincides with your payment schedule, you streamline the process for both you and the client. Ah yes, the section we hate to talk about but have to have. If there is nonpayment or lack of services rendered, both parties need to be protected. Because I’m not a lawyer, I did the smart thing and used the Freelancer’s Union template when I first started to create my contracts. The smart people over there made it a point to include arbitration, so if you don’t have the ability to work with a legal expert, you can refer to their contract template for guidance. However, it’s still a good idea to use legal counsel for your line of work. Depending on where the client is located, I typically have the arbitration in their county. If they are outside of the U.S., I base it on my county since I’m more familiar with the rights for my country. Again, your mileage may vary and you should not consider this legal advice. Talk to a lawyer if you have questions. 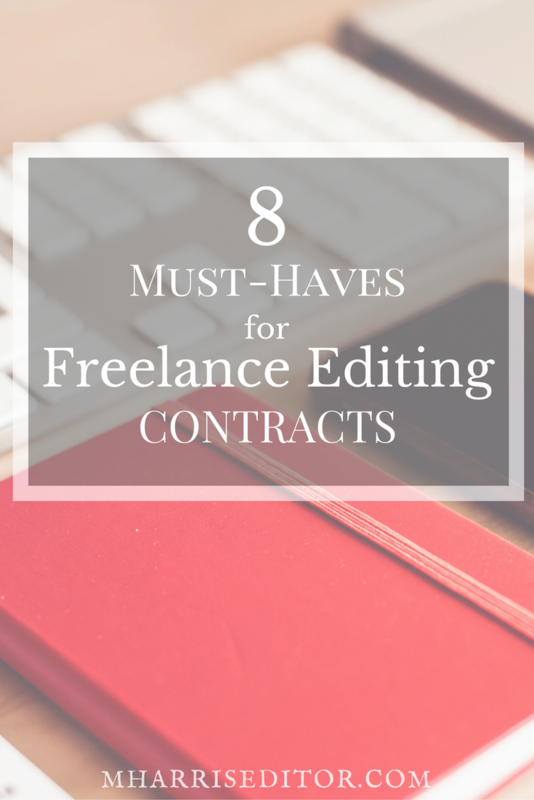 Now that your contract is formatted the way you want, it’s time to sign it! Make sure to include a place where you can both print and sign your names, and include a space to write in the date. These days, I use Hellosign to have electronic signatures applied to contracts, and it saves everyone involved in the project a boatload of time! I used to send PDFs for signatures and it was a huge pain in the neck. Plus, Hellosign has a free option (3 contract credits a month) and affordable paid options with add-ons. You can’t lose with how easy they make it! While having a contract with a client might seem intimidating, it will come naturally over time! I couldn’t imagine working with someone without a contract, and I advocate for them every chance I get. Not sure your book is up to snuff but on board with having a professional review it? Contact me today to learn how I can help!